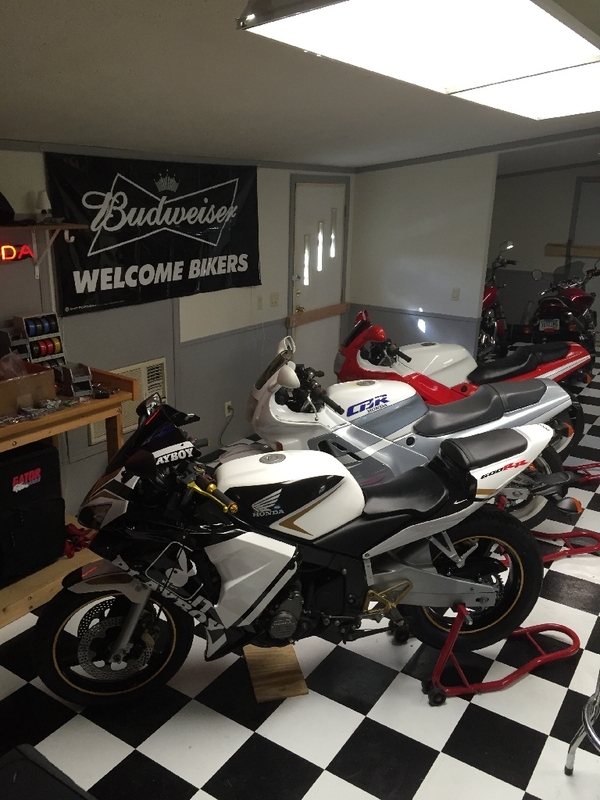 Doing a little Spring cleaning since a bunch of the bikes needed to come out for Summer. 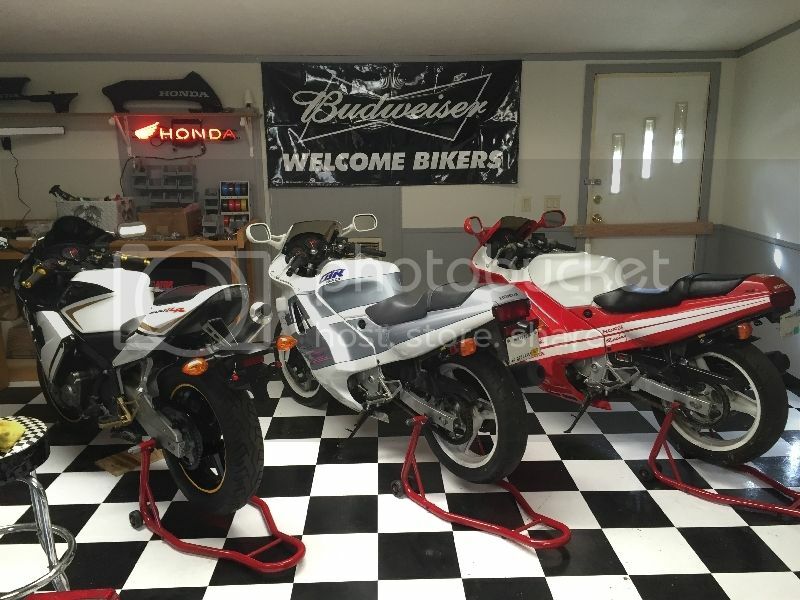 I brought 2 of the CBR's in so I can work on them. You can see the bikes being prepped for the season in the background of this shot. Thanks! I'm having fun in the new shop. Bringing back some classic bikes.